Our Colorado Gut Healing Yoga Retreat was such a nice long weekend, and since many of you love discovering new products, I thought that it would be nice to share some of the small businesses who helped make the weekend such a success. If you're like me, you know that food can make or break an event, so for this weekend we truly wanted the best. Whether or not you're focused on gut healing, all of the products below are delicious and nutritious. The majority can be found at your local health food store, or we've put direct links to their sites if you'd like to directly support them. Grainful was kind enough to send over some of their Meal Kits. 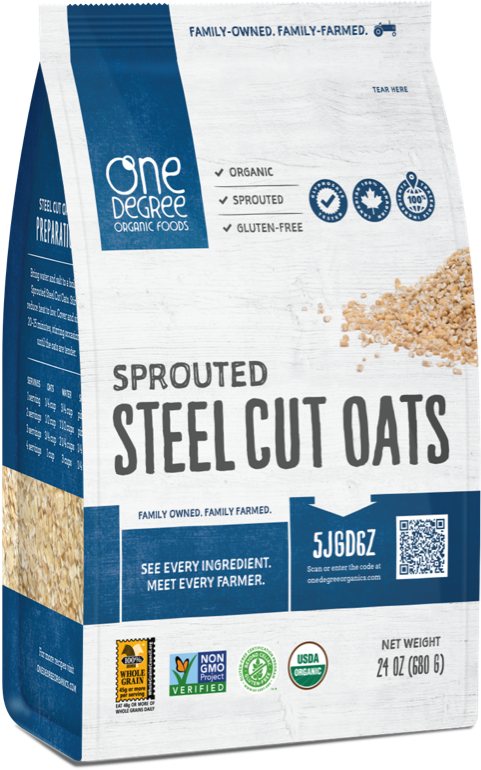 These chef-created blends of steel cut oats (making their meals gluten free! ), spices and vegetables are quickly and easily transformed into a delicious meal with your choice of meat, seafood or extra fresh vegetables. We really love the Grainful team because the founders took note of the extensively processed food products full of artificial ingredients stocking the grocery store shelves and set out to create delicious, nourishing and convenient food options that fit with their love of great — REAL — food and passion for active and healthy living. With an increasing awareness about the value of nutrient-dense real foods for both the individual and the planet, Grainful is leading the way with healthier, for you, meal solutions for the busy consumer centered on high-protein grains and clean ingredients. Use coupon code 'grainful25' for 25% off your order! Butcherbox.com provided our chef with free-range organic chicken which she used in some seriously hearty and delicious meals for our students. ButcherBox is a service that we love here at YBC; this box contains 100% grass-fed grass finished beef, free-range organic chicken, and heritage breed pork and is delivered directly to your door for less than $6 per meal. It is always good to feel safe knowing that the food you are eating is cared for, antibiotic and hormone free, and never taken from feedlots. We admire their goal to make clean meat accessible to as many people as possible by partnering with collective small farms. Use coupon code 'CANDACE20' for $20 off your order! Brew Dr Kombucha provided our us with a variety of their 100% raw kombucha. Brew Dr is special because they start with the same great-tasting organic tea blends they serve at Townshend’s Teahouses. In 2008 they began making kombucha in the kitchens of their then two teahouses. It was only natural for them to choose some of the same great tea blends they had developed for their teahouses and ferment those into kombucha. It turns out that this approach is pretty unique, as the majority of kombucha on the market is flavored with juice at the time of bottling. Brew Dr’s flavor profiles come from the actual tea itself. No juices or flavors are added after fermentation, making it a truly organic and 100% raw kombucha with the most naturally occurring probiotics possible. Pete’s Living Greens sent over some of their living Baby Romaine, Italian Mix and Spring Mix. Pete’s sells all of their products with the roots and soil still attached which allows the lettuce to have a longer shelf life both in the store in your home. We especially love this brand because of their positive environmental impacts. Selling their greens with the roots/soil still attached significantly reduces food waste, as grocers can keep the produce on the shelf longer, rather than tossing it out once it goes bad - same goes on the consumer’s end. The way Pete’s grows their produce is the most impressive - they use a combination of hydroponic growing with greenhouse growing. This type of farming essentially allows you to grow plants with less land and about 90% less water. Not only does the lettuce have the same nutritional value as crops grown in soil, but it can also be grown efficiently, organically, and GMO-free. To receive Pete's Living Greens coupons, follow the brand on Facebook (https://www.facebook.com/staysfresherlonger/) or/and Instagram (@peteslivinggreens) and direct message them with your email address. Tender Belly provided Carley, our chef, with their Berkshire Uncured Franks along with some of their uncured bacon (to die for!!). Not only does Tender Belly pay serious attention to where food is raised, grown and how it’s processed but they also set really high standards for themselves. They go to great lengths to enforce a high level of quality, starting on the farm all the way through transportation, harvesting and packaging. They have great relationships with their farmer-partners and work hard to ensure they comply with their high standards for animal welfare, care and compassion. TenderBelly even goes as far as choosing farms close to their processing plants to cut down on unnecessary transportation, promotes sustainable feed, works with farms that rotate their crops annually and even ships their product in insulated, biodegradable wrapping. P.s if you're looking for a unique holiday gift, Tender Belly offers a Bacon Every Month Club and gift cards. Can't go wrong with bacon! Primal Kitchen provided us with some awesome dressings and condiments to compliment the amazing dishes Carley whipped up during the retreat. 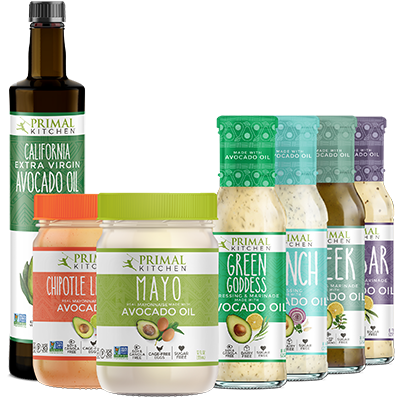 Mark Sisson, the founder of Primal Kitchen, noticed that most conventional dressings and condiments are full of unhealthy industrial seed and vegetable oils like canola, sunflower, corn and soy oils - the primary instigators in all manner of chronic disease so he set out to create primal-inspired salad dressings and condiments full of healthful, natural fats, superfoods, antioxidant-rich, high-ORAC-scoring herbs and spices with no offensive, synthetic vegetable and seed oils and no artificial colors, flavors or fillers. 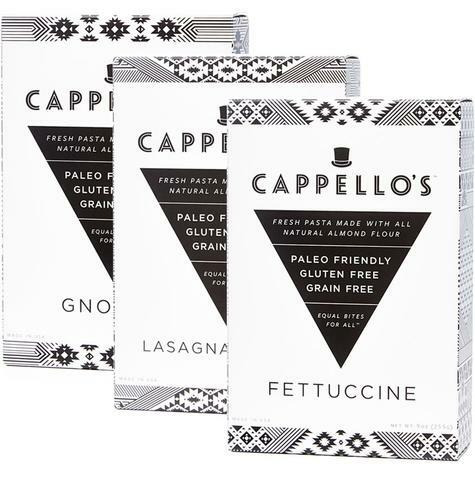 Cappellos, a colorado-based gourmet food company specializing in high-end gluten free, grain free products was kind enough to send us a variety of their gluten free pastas and vegan cookie dough. Stacey Marcellus and Banjamin Frohlichstein, the founders of Cappellos mission is simple: provide fresh, uniquely delicious options for gourmet food-lovers, healthy eaters and people with dietary restrictions. 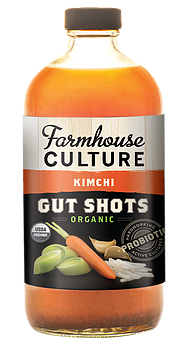 Farmhouse Culture is another go-to brand for the YBC team when it comes to probiotic-rich foods. Their Gut Shots are especially delicious and what’s a party without a shot or two, amiright?! Really Raw Honey sent over a few jars of their honey. 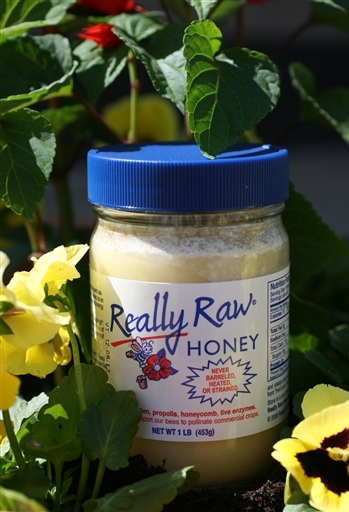 If you’ve never had it, Really Raw Honey is a totally unprocessed whole food, that is never heated or strained, and contains all the pollen, propolis, vitamins, enzymes and trace minerals the bee’s put into it. It may catch you off guard at first, but this honey is more solid than liquid and each jar is capped with crunchy bits of honeycomb, pollen and propolis (aka all the GOOD stuff) If you’ve been following YBC for awhile you know how much we love honeybees; which brings me to my favorite part of Really Raw Honey. There is a mentoring spirit among the beekeepers that produce Really Raw Honey. They share knowledge, equipment and ideas regularly. When a new beekeeper joins the Really Raw Honey community, the seasoned beekeepers share all they know with the newcomer as the new beekeeper needs to make a complete turnaround in the way he or she practices their craft. 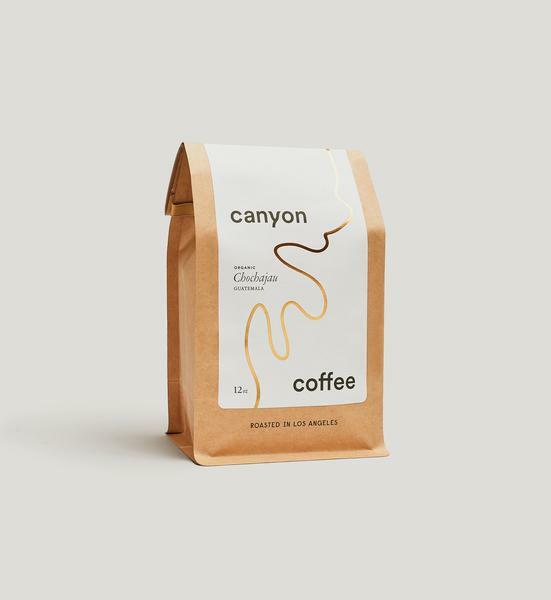 Canyon Coffee - Canyon Coffee is a super small business run by this adorable couple out of Los Angeles. They only source certified organic coffee beans, and never pay lower than fair trade rates (they actually generally aim to pay higher than fair trade prices). They believe that good coffee takes love, and that starts on the farm with the people growing and tending to the beans. It's their aspiration to someday forge direct connections with farms so they can help ensure the well-being of the farmers and their families whose livelihood depends on the coffee trade. One Degree Organic Foods. One Degree brings food straight from the farm to your table. You can see where every ingredient in every product comes from with their traceability technology - all you have to do is enter the code on the bag. 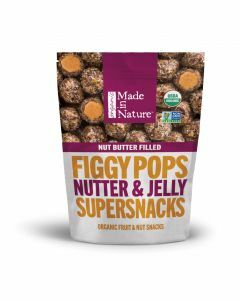 Made In Nature - Made in Nature sent a bunch for snacks for our swag bags and snack bars. We love that everything is organic and non-GMO verified, so you know you can trust you're eating the best ingredients. Fourth & Heart - Fourth & Heart sent their full size ghee for our chef, and also sent travel size ghee which we put in our swag bags. Ghee is clarified butter, which means it's easy to digest and is excellent in everything from sauteeing to baking. Sizzlefish is a sustainable seafood company that sells humanely harvested, quality seafood nationwide. Sizzlefish is high in Omega 3 fatty acids which have been known to help reduce inflammation, improve joint health, and support heart health. The best way to obtain the purest form of Omega-3 fatty acids is by consuming it in foods like fresh fish. The company has an incredible line of seafood ranging from wild caught fish to lobster, muscles and more! We prepared a delicious slow roasted Sizzlefish salmon which helps to lock in the flavor by cooking at a low heat which we paired with a mixed greens salad.